If you weren't craving cookies before you see these, you will after. 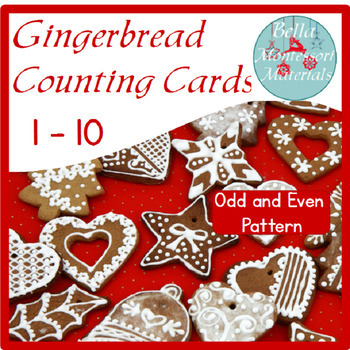 This is a pretty set of counting cards that can be presented parallel or slightly before Cards and Counters. Pair it with small holiday erasers and it's going to be a favorite. If you haven't become a follower yet, please do consider clicking on the little green store beside my store logo. I post new materials regularly and they are always listed at a discount for the first few days.